Explore the Wynwood Walls and murals on this 1-hour walking tour. Learn how the Walls are curated at Wynwood Walls and stroll through the courtyards, pausing at several murals. Learn about the artists and their techniques and about Wynwood Art District's history. Arrive at the Wynwood Art Walk Tour where you will meet your professional guide, put on some sunscreen, and then head out into the streets of Miami to begin your 1-hour walking tour. 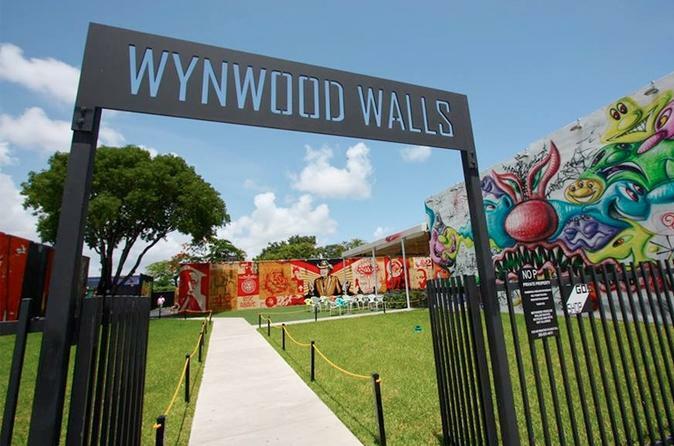 Enter Wynwood Walls through a wrought iron gate and listen to the story of Wynwood's transformation from an industrial urban zone to the Art District of Miami. Learn how the Walls are curated, and then walk through the courtyards and admire several murals, including art by Shepard Fairey and Swoon. Hear about who the artists are, their techniques, and the meaning behind their work. Explore the depth of Wynwood's street art on this captivating walking tour. *Specific artwork and murals are subject to change as murals are painted over. *Entry to the Wynwood Walls is free. Purchase tickets only if you would like a guided tour.